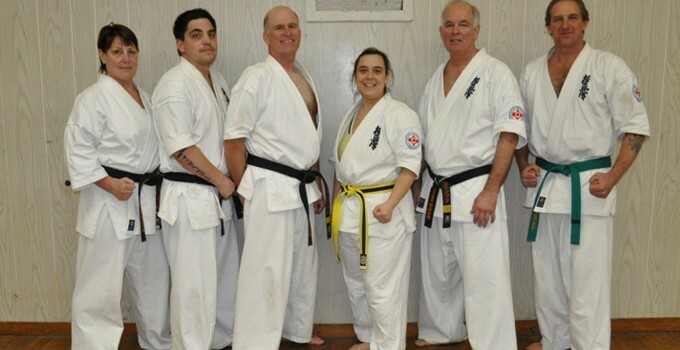 On March 3rd 2012 the Keremeos Kyokushin club had the priviledge of hosting a seminar lead by Sensei Larry Robson and guests Sempai Kathy Desrochers and Sempai Ryan Desrochers. Members from the Penticton club attended the seminar. 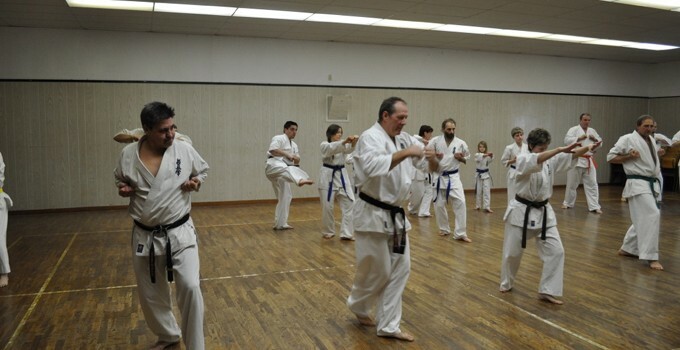 Sensei Larry started the seminar by having us all do katas starting with the first taikyoku and worked his way up through the pinans. 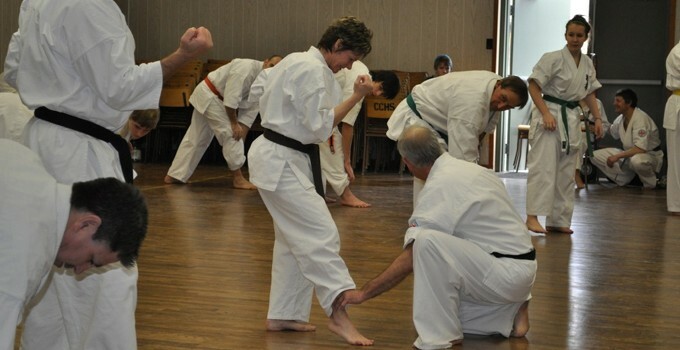 We would perform the kata to a ten count and then we would receive a few critiques. 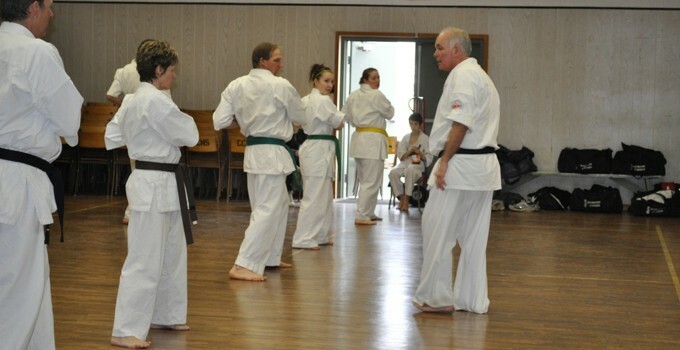 After we were "tweeked" we would perform the kata again, doing our best to incorporate the new changes. 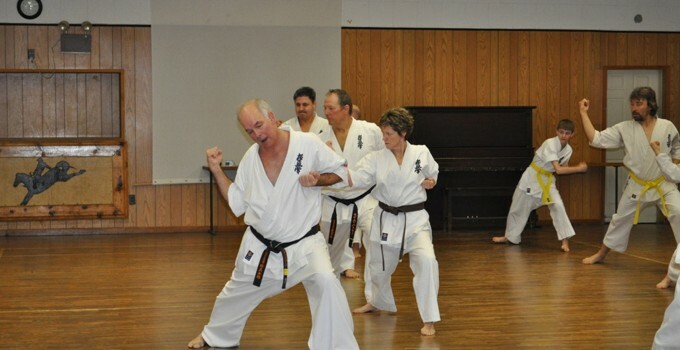 Then after each kata we would be given a bunkai interpretation. Sensai Larry was clear about pointing out that there can be many interpretations. 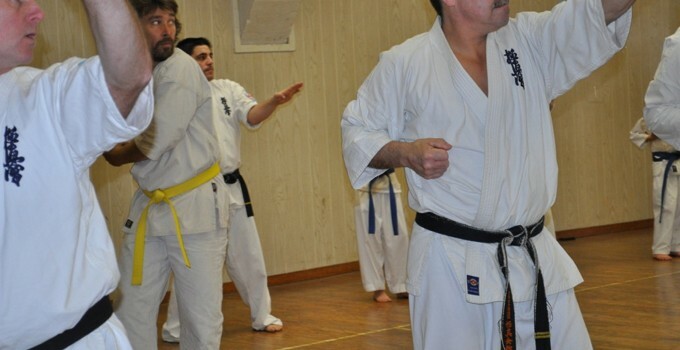 The seminar ended with the first eight happo moves which were changed just slightly to incorporate self defence. After the students finished twisting and contorting each other for the last hour, it was time to bow out. To conclude it was three hours of jam packed knowledge. This entry was posted	on Monday, April 2nd, 2012 at 7:52 am	and is filed under . You can follow any responses to this entry through the RSS 2.0 feed. Both comments and pings are currently closed.